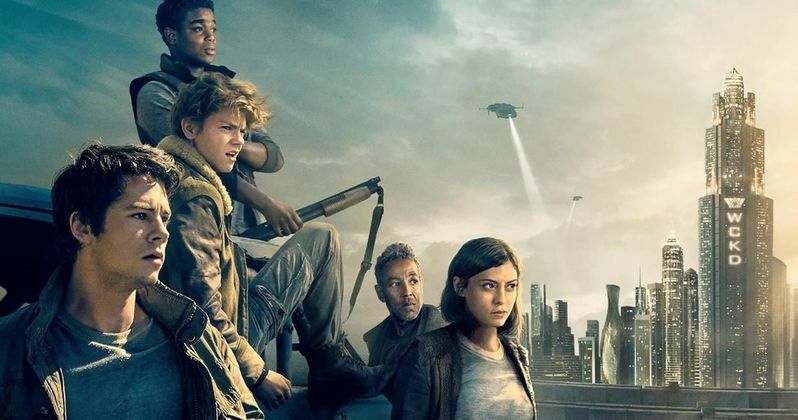 The Maze Runner trilogy comes to an action-packed and somber conclusion with The Death Cure. The final installment of the popular young adult novels scales upwards on all fronts. You will forget this series began as a story about children trapped in a deadly maze. The protagonists are now seasoned fighters in an epic battle for the future of mankind. Their struggle is deeply personal and well conceived. The strong character development props up the vanilla aspects of the script. The Death Cure is a whopper of a finale; bigger and better than expected. The plot picks up several months after the events of The Scorch Trials. Minho (Ki Hong Lee) has been captured. He is taken, along with another batch of immune children, to the last city, the stronghold of WCKD. Teresa (Kaya Scodelario) is there, continuing the experiments under the guidance of Ava Paige (Patricia Clarkson). Her betrayal of Thomas (Dylan O'Brien) is a constant hurt. She refuses to have her memories erased again. Thomas galvanizes his friends to rescue Minho. Vince (Barry Pepper) is supportive, but cannot endanger everyone to save just one person. Thomas, Newt (Thomas Brodie-Sangster), and Frank embark alone to the last city. They gain formidable allies along the way, but are vastly outmatched by the forces of Janson (Aiden Gillen) and WCKD. Their worst enemy, the FLARE virus that decimated humanity, strikes again in unexpected ways. The Death Cure release was delayed a year because of injuries to Dylan O'Brien while filming. The onset accident halted production until O'Brien could recover. I'm pleased to report that the final product, though postponed, is unaffected by this tragic mishap. Dylan O'Brien is fantastic in his last outing as Thomas. His character is central to the trilogy's resolve. O'Brien plays Thomas with a strong emotional conviction. His leadership abilities and compassionate nature are inspirational. The characters that support him have also grown considerably since the first film. Their journey is believable. O'Brien is the pillar of this film and the franchise's success. The Death Cure is built around several huge action scenes. They are blockbuster in scope and well shot by director Wes Ball. Nothing in the first two films comes close in magnitude. They are very entertaining, but all suffer from the same lack of exposition. The characters go from point to point with ease. As an example, Thomas breaking into the city should be incredibly difficult. He pretty much walks into a fortress like the automatic door at the mall. The film needed to be less flippant in setting up the bullets, cranks, and explosions. At two hours and twenty minutes, I understand the filmmakers not wanting a longer runtime. They've produced a good edit, but could have done more to bolster the pivotal lead in scenes. From 20th Century Fox, The Death Cure is a worthy ending to The Maze Runner franchise. It is much better than the uninspiring finales of The Hunger Games and awful Divergent series. The action alone warrants the price of the admission. Dylan O'Brien has the chops to be a huge action star. He owns this film and the vastly underrated American Assassin, which he filmed right after.